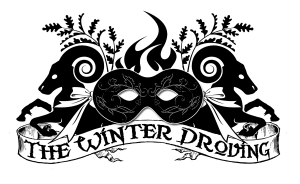 The Winter Droving is a magical day of rural celebration, food, fun, games, masquerade and fire in Penrith. We always need more people to work and volunteer with us. We are seeking people to help steward the Winter Droving and the big #droving19 procession on 26th October 2019 – there are specific roles with specific responsibilities – essentially being the shepherds – smiling, positive fun peeps only, for a couple of hours, alongside more involved roles both on the day and in the run up to the event.